White House Hotel is not the cleanest nor the best value for your dollar in downtown Yangon (Rangoon), but it does offer some charm, with a fantastic all-you-can-eat breakfast buffet in their rooftop garden. Friendly service, a fine central location and WiFi also help offset a strict 23:00 curfew and the massive number of stairs you’ll have to climb to your room here. White House Hotel upgraded room, with private bath and window. 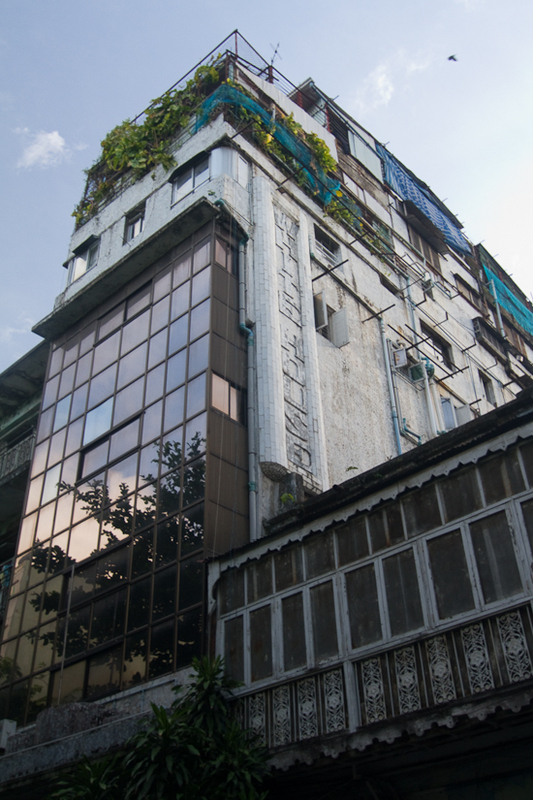 White House Hotel is one of the first places I was told about when looking into places to stay in Yangon. It’s also one of the first places I was warned about. For some reason, it’s always included in friend or online recommendations, which can be attributed to it being part of the old generation of guesthouses and hotels. It’s a survivor from a time when accommodation pickings for backpackers were slim in an isolated country; now, things have changed — but this place seems to have not even changed its bed sheets. 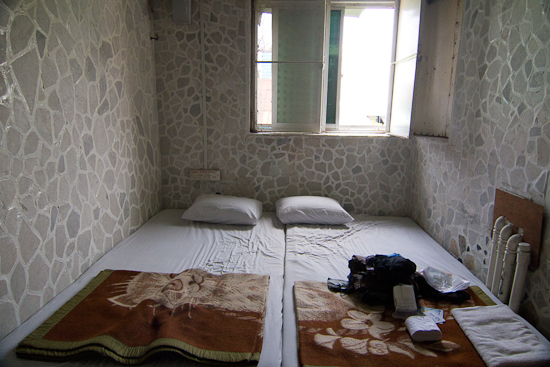 The rooms are as basic as you can get and are definitely at the lower end of the quality spectrum. A single fan room with shared bath starts at US$17 and a double goes for US$22. With many of those rooms looking like converted pantry storage rooms, an upgrade to a private bath and air-con might be your best bet, with singles at US$25 and doubles at US$30. Even if you go with the upgrade, the cleanliness — or lack thereof — knocks it down a notch in value for your dollar, especially with Daddy’s Home Hotel and Golden Star Guesthouse being within a block radius. The biggest factor to consider is whether or not you are absolutely sure you will not stay out past 23:00. Apparently the receptionist’s narcolepsy is set to ‘coma’ the second 23:00 hits and you will be locked out, even when they say they will answer your knock until midnight. Don’t even bother with the glass doors — they’re too thick and sturdy, trust me. The only real option at this point is heading to Daddy’s Home Hotel, located a few buildings north, and cough up for an extra bed there. White House Hotel, with rooftop breakfast buffet. All and all, White House Hotel really isn’t that bad. The staff are fairly friendly and the location is set on downtown’s lower block between Chinatown’s 19th St BBQs and Sule Pagoda, which makes it quite handy for a city that offers no motorbikes to rent. It also offers one of the best breakfast buffets in town for free while you stay there — you can still walk in off the streets to enjoy the 08:00-10:00 buffet for US$10 — and comes with on-site, slow WiFi and one of the better maps you’ll come across in Yangon. The building itself is eccentric and full of bizarre charm that can be worth the bedbugs for an architect geek or someone who loves stairs. There are a LOT of stairs. If you don’t mind roughing it a bit, bring extra hand sanitizer and a sleep cocoon and enjoy the beauty of this building and location.